Though I only just arrived in Madrid, I really wanted to get out and explore some of the other towns and cities. I got a nice little break from travel in Medellin, Colombia, and I was itching a bit to get back onto the road and see some new places. 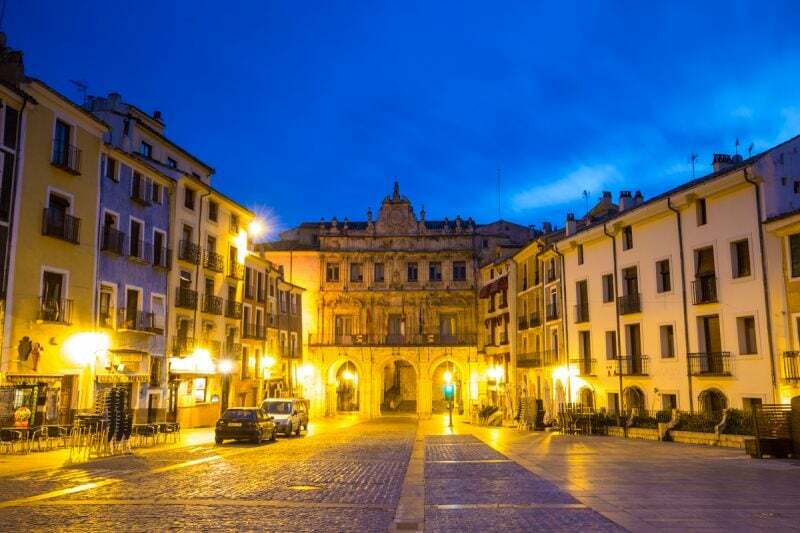 So, after doing a bit of research, I decided to make my way to a town called Cuenca, which is about an hour from Madrid if you take the fast train. Of course, I took the slow local train which is a 3 hour journey. 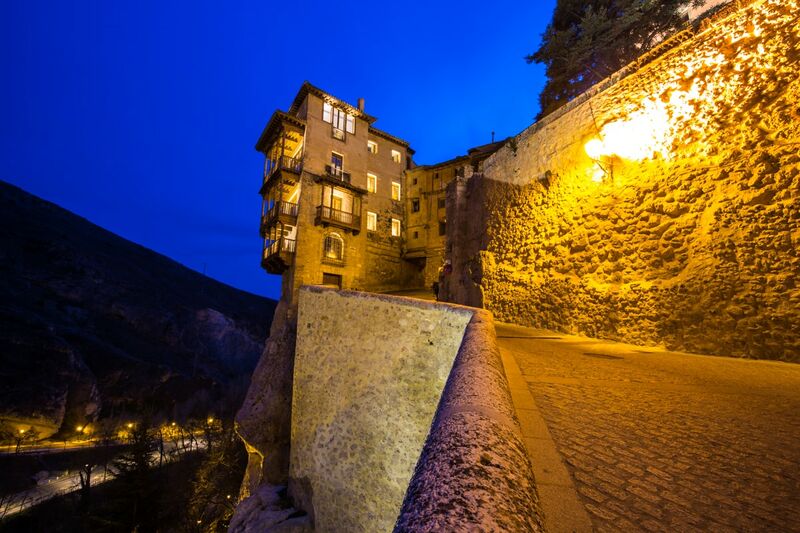 After arriving in town, I headed straight for a part of town known as the Casas Colgadas or hanging houses. 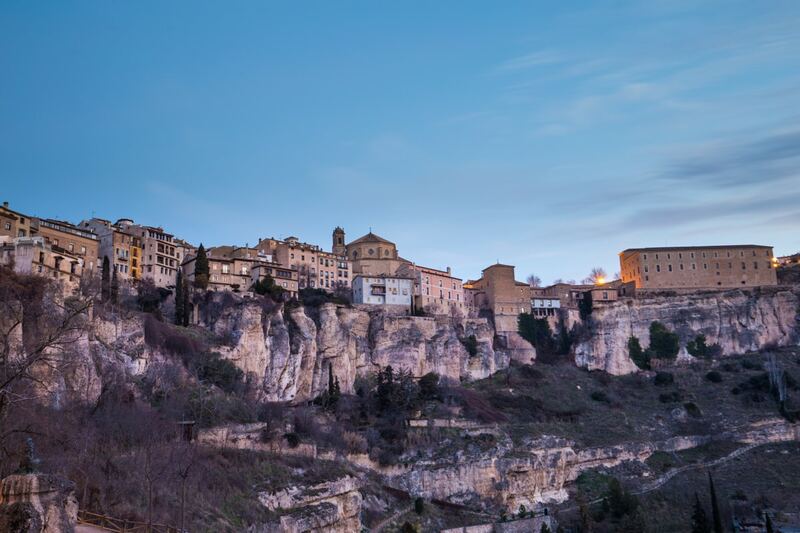 Essentially, the old town of Cuenca is built on this narrow geographical feature that looks a little bit like a spine from above. On each side of the spine, it’s sheer cliffs. 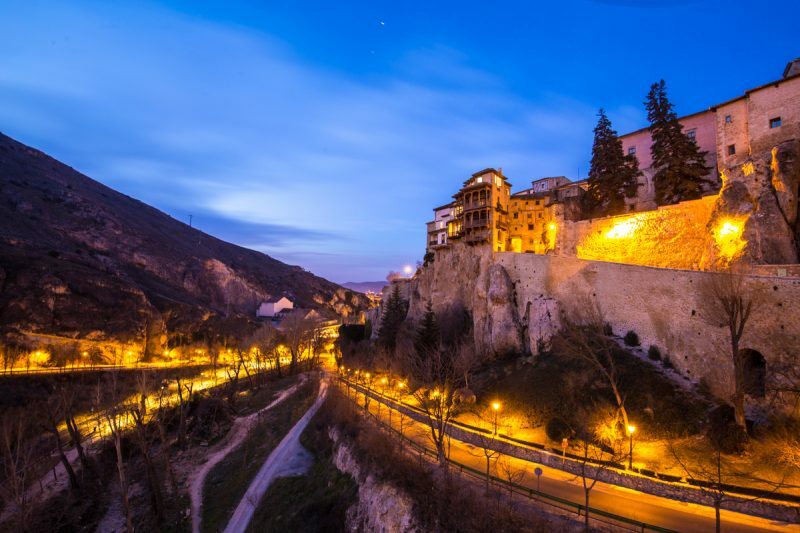 The houses in the old town of Cuenca are built along this spine with many of them built right out onto the cliff’s edge, and some of them hanging off the edge – hence the name. 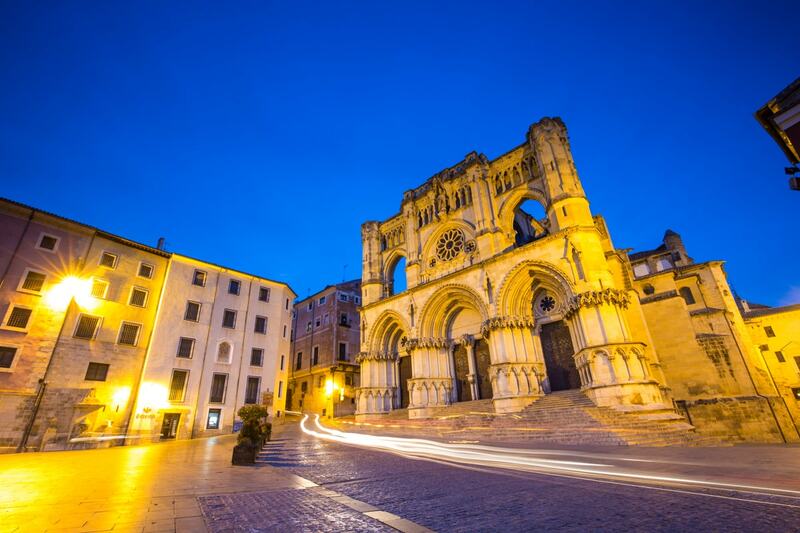 I was immediately struck by Cuenca. I think it’s really easy to get a bit desensitized to travel when you do it as often as I do. Places all start to look the same, or they all remind you of somewhere you’ve been before. You start to take new destinations for granted a bit. However, every now and then a certain place shakes you back up a bit. It takes you back to the feeling you got in your early days of travel. It teases at your senses and makes you want to explore. That’s exactly the feeling I got in Cuenca. I felt giddy, and just wanted to explore. 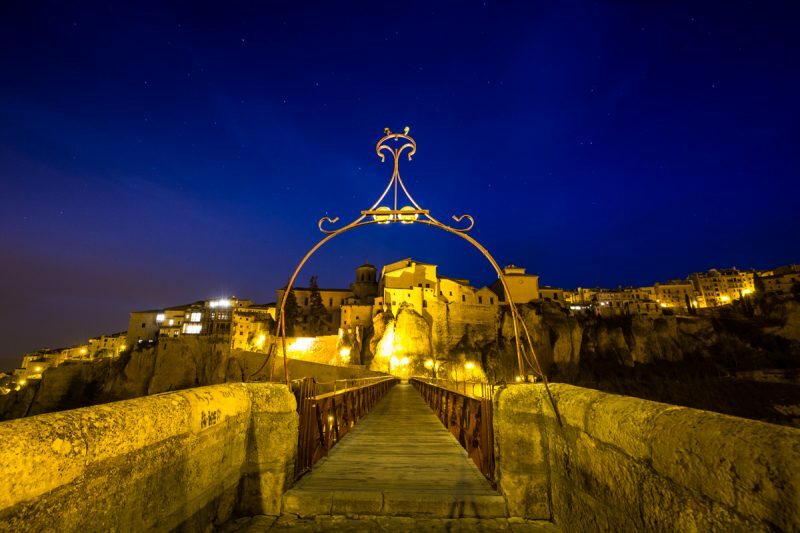 I was really anxious to photograph Cuenca. There seemed to be a couple really cool shots to be had in town, and I was really looking forward to it. Then, in the morning when I went out to shoot, it was cold. And, I know that for many of you, especially my Canadian friends, you might laugh at my saying that -2 is cold. But, you have to remember that I’ve just come from Colombia. Also, it’s not like I own any winter clothing. Essentially, I spent the morning freezing and fighting the cold. The light was cool, the location was beautiful, but I just could not enjoy it as there was this biting wind hissing down the valley and hitting me on the bridge as I shot. My hands got so cold that I actually couldn’t feel my fingers at certain points. It doesn’t help that most camera gear is metal, so it’s even colder to the touch – especially when you don’t own gloves. In the end though, I made it through the morning. And, looking back at the photos I got I’m pretty happy. Obviously, I could have done a lot better for myself had the weather been a little bit more inviting and I was willing to change lenses. But, all things considered, I’m happy. That afternoon, I was feeling a little bit apathetic about heading back out into the cold. I really didn’t want to shoot photos. I would have much rather just sat in my hotel room watching netflix. But, I’ve learned over the years that when I’m feeling blah, there is nothing better for me to go out and explore a bit. Very little makes me feel better than going out into a really cool location and shooting photos. 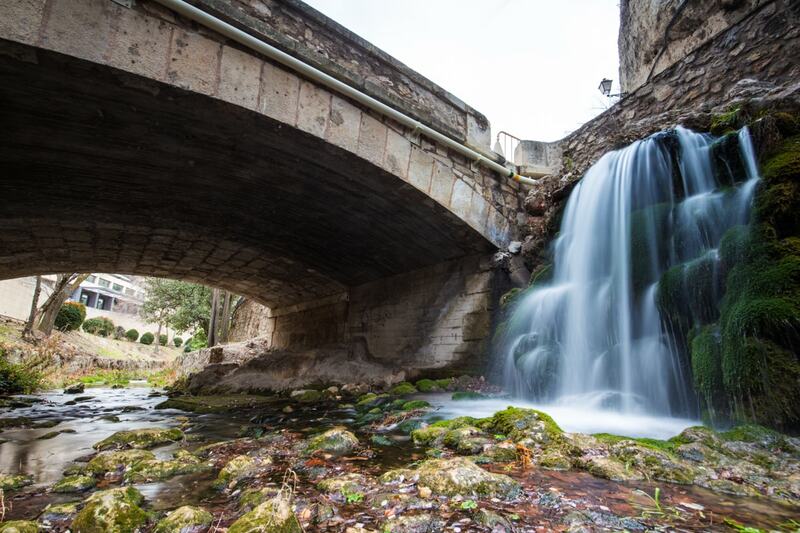 Here are some of the shots from that afternoon in Cuenca. The gates into the old city. The Casas Colgadas of Cuenca. I’m off to the city of Valencia now. I honestly have no idea what to expect there. I’m not sure I’ve ever seen photos of Valencia. I have zero expectations, and that’s kind of fun. From there, I’ll be spending a bit of time in Alicante and likely Barcelona. The architecture in the “City of Arts and Sciences” in Valencia is fantastic. It’s a great place for abstract photography. Enjoy!